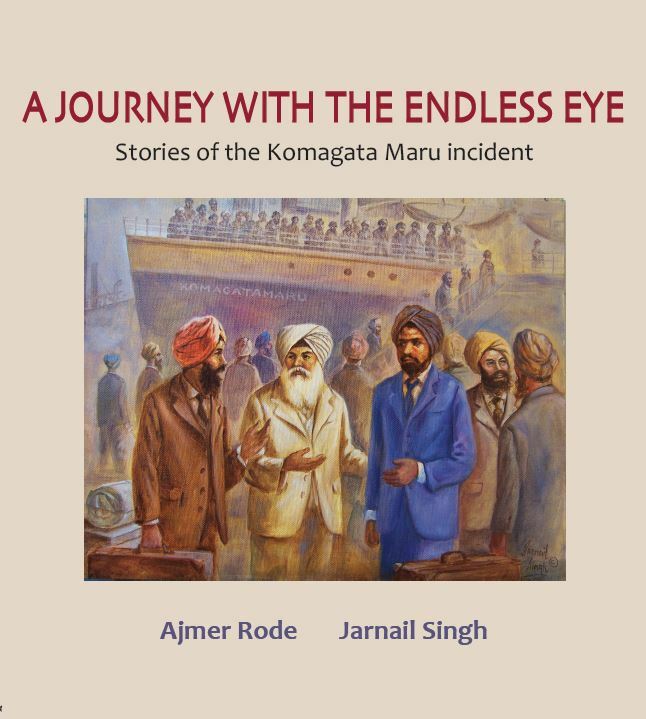 The Journey With Endless Eye narrates the Komagata Maru incident that engages us as seriously today as it did 100 years ago when it took place at the shores of Vancouver. And will continue to engage us until our cultures are purged of the maladies like xenophobia and bigotry highlighted by the incident. Obviously a long journey it is. The endless eye is a Vedic expression. It means the eternal gaze behind our temporal eyes. And a journey with the endless eye is an ever continuing quest for truth and justice. This book shows such a journey by depicting the tragedy of Komagata Maru in words and colors. Komagata Maru was a Japanese ship that arrived in Vancouver’s Burrard Inlet on 23 May 1914. It was chartered from Hong Kong by an Indian national Gurdit Singh and carried 376 Indian passengers, mostly Punjabi Sikhs. Many of the passengers were ex military men who had made sacrifices for the British empire in wars. Naturally they expected a welcome in Canada, also a British colony at that time. Instead they were imprisoned in their own ship, were deprived of water and food and turned back in humiliation after two months. When they reached their own country at the port of Budge Budge Ghat near Calcutta the British government suspected they had turned revolutionaries. In a brief scuffle at the Ghat the police firing killed 19 passengers and injured many more. Since then the incident has become a symbol of struggle against injustice and continues to inspire efforts to eradicate racism in Canada and elsewhere. The incident has spawned numerous books, plays, and documentaries. This book we believe will make a unique contribution to the Komagata Maru literature: it presents the story in paintings and short narratives, and blends history, drama and emotional impact of the incident into one. The characters in the stories are historical, except, Jean who represents a steno in the Canadian Immigration office. Year 1914 marks the 100th anniversary of the incident and a great deal of activities and celebrations are going on, especially in the Indo-Canadian community. 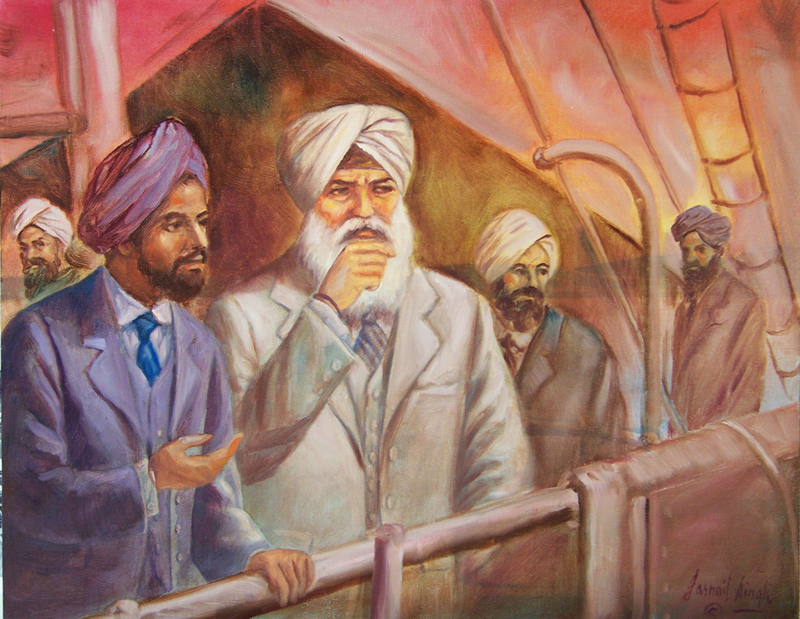 The narratives and paintings of Komagata Maru Stories have been exhibited at several venues in Surrey, Delta, and Abbotsford to enthusiastic response from the viewers. Greek warrior Odysseus, some thirty centuries ago, spent a decade fighting the great Trojan war, and after it was over another decade wandering in the rough seas often ending up at hostile islands. Eventually he reached home in his beloved Ithaca island where he was the king. But his homecoming was far from a happy welcome. He had to confront a host of suitors trying to woo his beautiful wife Penelope. Punjabi farmer Gurdit Singh left his village Sarhali in the early 20th century and went to South East Asia to undertake some business adventures. There he got involved with his helpless compatriots who could neither return to their country nor go to North America because of exclusionary laws enacted against Indians. Gurdit Singh undertook the most challenging adventure of his life: he chartered a steamer, Komagata Maru, to take his stranded countrymen to Canada. The tragic story of Komagata Maru in Canada is well known but like Odysseus when Gurdit Singh returned to his own country bullets welcomed him and his men. He escaped death but had to live a wretched underground life for years. Homer the greatest of Greek poets describes the adventures of Odysseus in a long poem Odyssey and has made him a hero forever. Gurdit Singh’s odyssey is waiting for a new Homer.